This is a guest post by Tyrone Ford. If you want to guest post on this blog, please check out the guidelines here. The Apple App Store just hit 100,000 apps which is an amazing statistic within itself. If you take a look at the App Store Metrics on 148Apps.Biz you will find that Games make up 16.9%, Entertainment makes up 13.86% and Books come in at 13.69%. 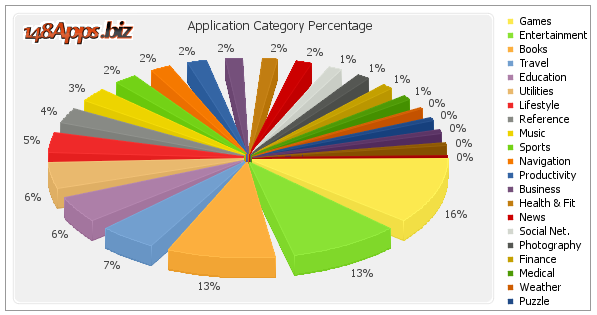 These three are responsible for the top selling categories in the App Store. 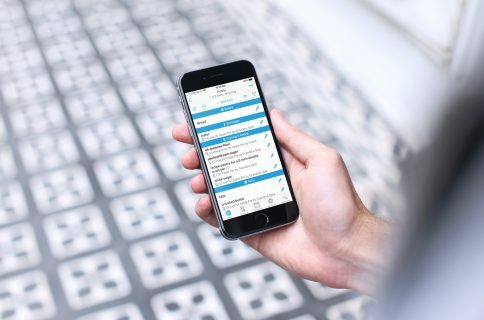 Buried within apps where you can accomplish nearly anything from running your own virtual Spa in Sally’s Spa or for those in the medical field there is STAT ICD-9 LITE which provides all 13,677 ICD-9-CD diagnosis codes to the user’s iPhone. With so many different options it’s no surprise whatsoever that various Gay related apps would not only be created but thrive within the community. 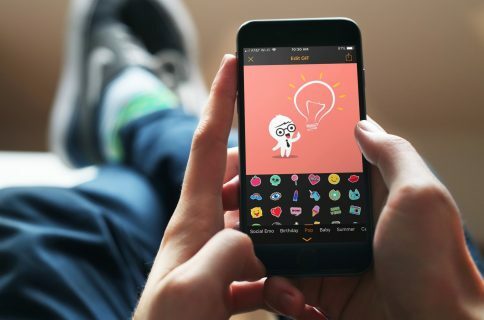 There are some good and some bad ones but a few stand out from the crowd so here are the top 5 Gay related iPhone apps you may want to take a look at. The world’s largest network of gay and lesbian news and entertainment portals is now available on your iPhone and iPod Touch! EDGE publishes news, entertainment, business, technology, style, health, fitness, travel and nightlife information to readers around the world. For the LGBT community, staying connected on the go has never been so easy. Read fabulous commentary from individuals from within and without the LGBT community about life, relationships, and the issues facing gays and lesbians the world over. Flip through photos taken by EDGE’s team in cities around the nation. Did we catch you or your friends at a nightlife or community event? Find out – even when you’re not at your computer. Find out where to eat, drink, stay and party with EDGE’s list of community-maintained, LGBT-friendly businesses in each of our target markets – including Boston, New York, San Francisco, Los Angeles, Chicago, Dallas, Miami, Ft. Lauderdale, Las Vegas, Philadelphia, Providence, Orlando, Provincetown and Fire Island. “Whether he’s Mr. Right or Mr. Tonight, your man is hanging out on Grindr, a killer location-based social networking tool for the iPhone or iPod Touch.” I would have to agree with the people over at Grindr’s site, this handy little app is definitely a well put together social networking tool for gay men. Grindr, unlike many other social network sites was made for the mobile world we live in. Grindr uses your iPhone or iPod Touch’s built-in technology to map out which guys are closest to you—but how much info you share with them is entirely up to you. This will help find who’s around or if you’re traveling to maybe help find a local to show you around. 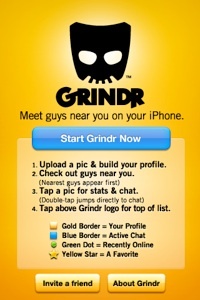 Grindr has no complicated registration process, nor do you need to enter an email address, or validate your account. Grindr is quick, convenient, and discreet. Trade your stats, show off a photo, instant message any guy you like. Share your location on a map and make plans to meet up right away. Or just browse the local scene. Grindr is a free app. Playing today’s hottest dance, club and remixes 24 hours a day, GayInternetRadioLive.com is a blend of party, dance, club, and circuit sounds that will keep you dancing. Unlike terrestrial radio, you’ll hear remixes of popular mainstream hits that have been remixed by internationally known Dance Mix DJ’s and producers. This free app is pretty straight forward with no directories to search, providing immediate access. Artist and song title information is displayed for each track. Instant feedback link to email station DJ’s, “one click” button to the request lines and two stream choices 128k and 64k. For best sound quality listen to Gay Internet Radio Live using a WiFi connection. 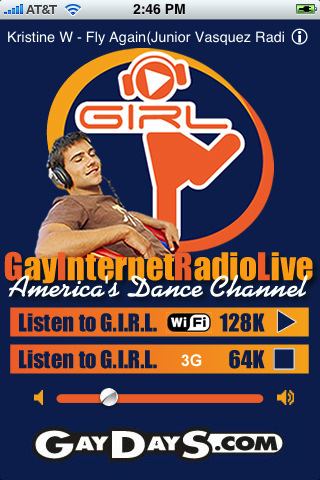 Visit GayInternetRadioLive.com for more information or get G.I.R.L from the App Store for free. Gay Cities is a free app that comes in very useful when either traveling or if you’re new to your city. Instantly access gay-friendly restaurants, gay bars, hotels and beaches over 95 cities worldwide. 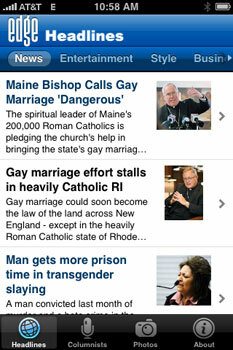 Gay Cities provides up-to-date info. One click for phone number, web site & directions. Instant access to reviews by like minded travelers. 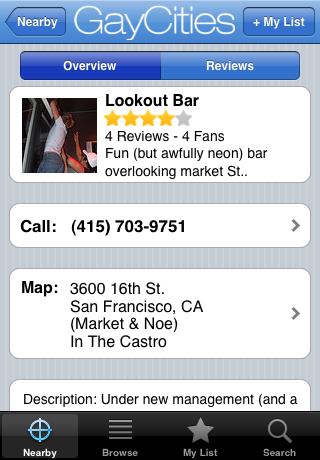 Quickly find nearby bars, restaurants & hotels. Search for features that suit your taste. Find the setting that’s right for you. Easily access favorites and recent searches. Get Gay Cities on your iPhone for free. We’ve always suspected what your plans were: destroy marriage, recruit children and do lots of cardio. Well, here’s the proof: My Gay Agenda is a first-class personal calendar application and hilarious take on what the well-organized “Velvet Mafia” operative would carry. My Gay Agenda is a powerful personal calendar app complete with ubiquitous event features for all-day events and events that span multiple days. 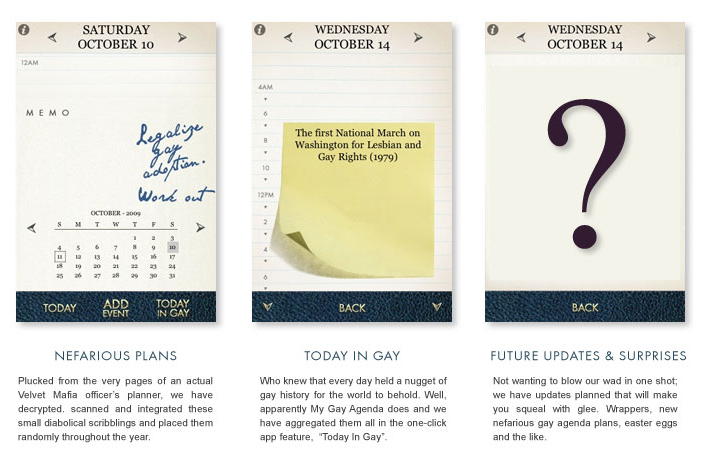 MGA also has a stylish and robust Notes feature and “Today In Gay” – a daily historical synopsis of key “historical events”. My Gay Agenda comes in both a free version, which only allows you to schedule events within the month you are in. There is also a $2.99 paid version, which opens up the full scheduling capabilities. Tyrone Ford is a blogger based out of Washington D.C. who focuses on LGBT issues, pop culture, technology and social media. Find Ty’s personal blog at http://BetterCallTyrone.com/.